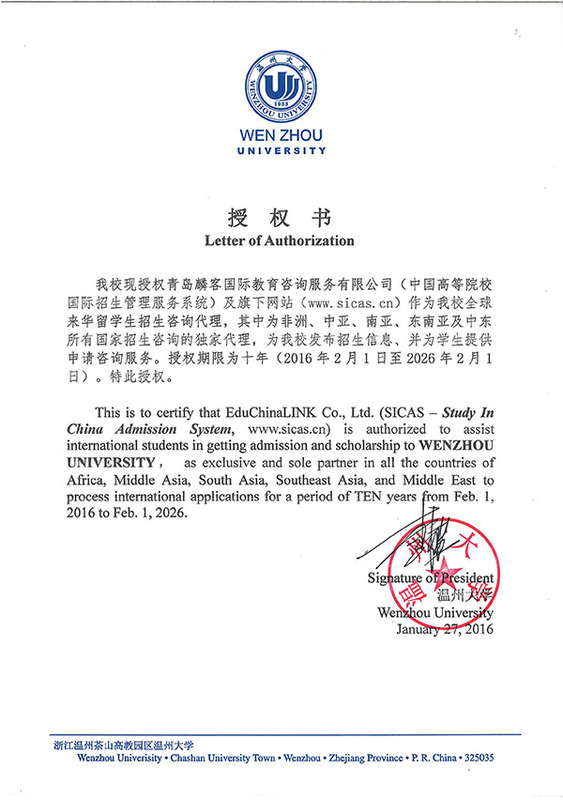 Wenzhou University (WZU) is a comprehensive regional university established with the approval of the Ministry of Education of China. It was founded through the merger of Wenzhou Normal College and the Former Wenzhou University, which were founded in the year of 1956 and 1984 respectively. Wenzhou University is situated in Wenzhou, a coastal city in the south-eastern part of China which is the economic and cultural center as well as the transportation hub of the southern region of Zhejiang province, with Shanghai and Hangzhou to its north, Fujian and Guangdong to its south. Located in such a beautiful and prosperous city, WZU is a comprehensive regional university equipped with programs in accordance with the demands of the market, thus making them more flexible and dynamic in talents training. Of all, WZU English-medium bachelor's degree programs International Economy and Trade (College of International Cooperation) and Marketing (College of International Cooperation) have been preferred among International students. Besides, 46 bachelor's degree programs as well as 20 master's degree programs, both taught in Chinese, have been growing in popularity recently. The non-degree programs Short-term Chinese Language Training, Training of Do Business To China and Trade-research and Study-tour Program are suitable for those who're interested in the study of Mandarin or doing business in China. Study at WZU and you will acquire providing an abundance of opportunities to obtain both systematic knowledge and practical experience, thus ensuring a bright career.